So yesterday’s Astros-Yanks matchup, judged on WPW’s complex set of arbitrary and biased criteria, swung +3 in Houston’s favor. The game ended +3 in Houston’s favor. I’m not going to say we can predict the future, but its hard to argue science. Tonight’s matchup is even juicier, pitting two of baseball’s best teams. 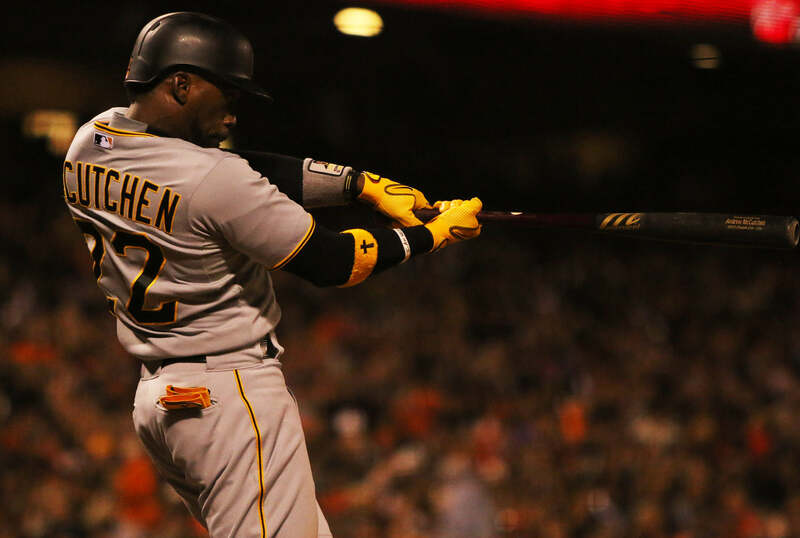 Pittsburgh is still smoldering hot from a 23-8 Sept-Oct run, while the Cubbies’ 50-25 second half featured SEVEN series sweeps. Jake Arrieta is still in orbit, pitching to a 1.77 ERA, which is less than 1/3rd of his 5.46 lifetime ERA with the Orioles. By the way, how must Baltimore feel? They haven’t had an ace since Mike Mussina, and the Cubs get Arrieta, who couldn’t keep a job in Baltimore’s sub-par rotation, and turn him into the second coming of Bob Gibson? Lest we forget Gerrit Cole, who, if it weren’t for the historic seasons of Arrieta, Kershaw, and Greinke, would be a strong candidate for the Cy in his first full season. Cole is a Clemens-style monster, a specimen at 6’4/230, who doesn’t throw a fastball, but a 96 mph bowling ball (3rd in MLB behind Garrett Richards and Yordano Ventura). Here’s our style-centric breakdown, arbitrary and biased (as is tradition), of tonight’s NL Central deathmatch. Arrieta’s explanation, though unusual, makes sense. While the bend of the brim helps keep glare out of the field of view where vision isn’t necessary, it also could cut down on your peripheral view, which for a right-handed pitcher, may be critical to holding runners on. While I won’t be pancaking my game hat anytime soon, I can see where he’s coming from. 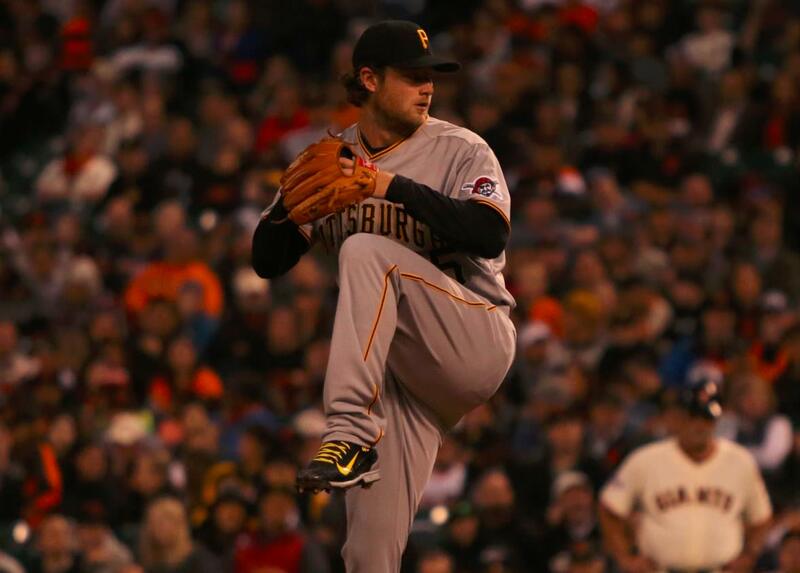 Gerrit Cole seems like a no nonsense kinda guy when it comes to the look. 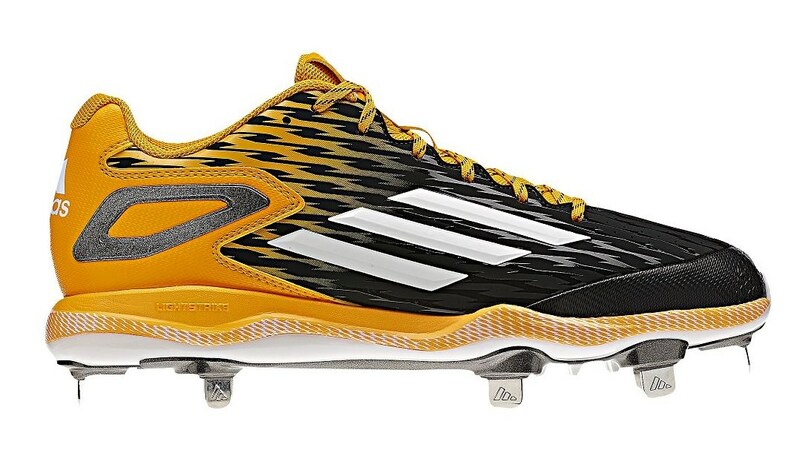 He’s got a little flow up top, and he rocks the same black with yellow swoosh cleats with all unis. 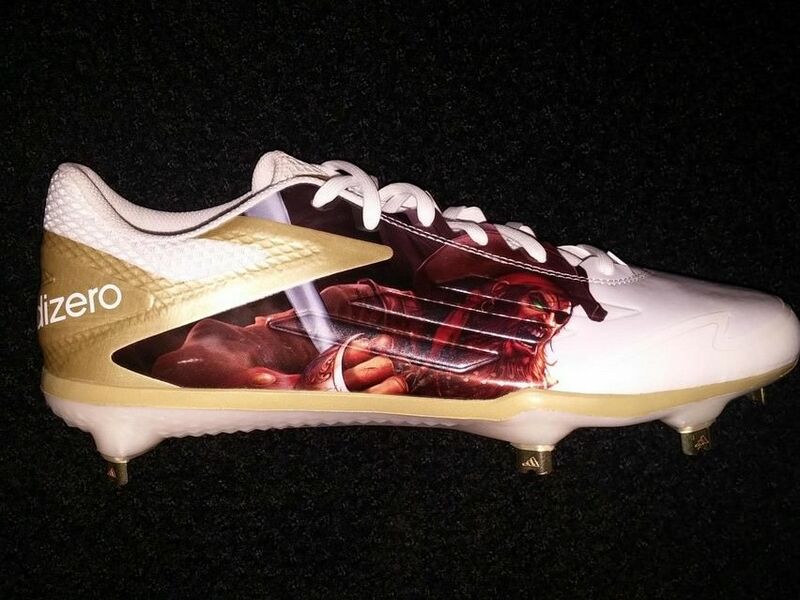 We’ve seen him throw some yellow laces on them, but that’s about it for flash. This guy comes to the park to shove, not to play dress-up. Arrieta’s mustache onesie tempted me, but I just can’t break the tie here. These guys are both bosses. 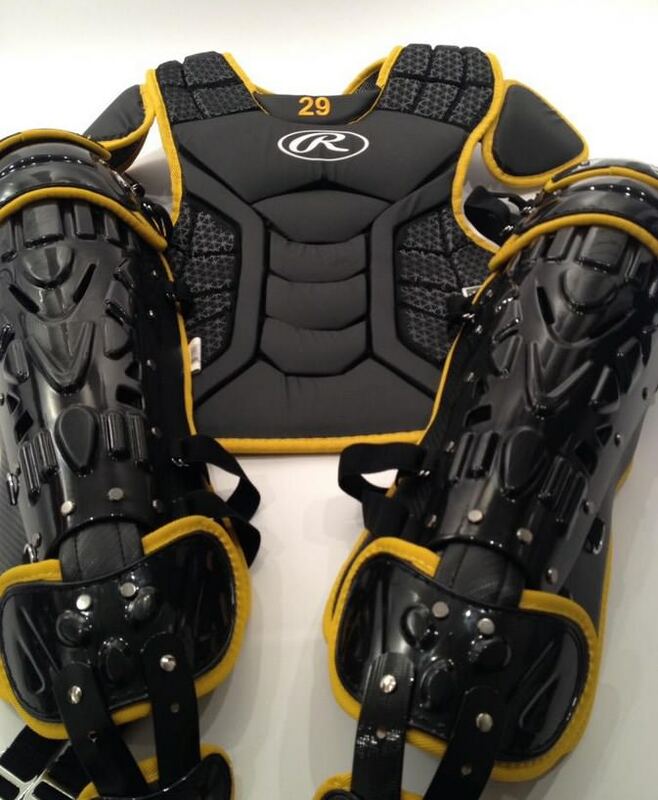 Miguel Montero has been a really good Major League player for a long time now, and he’s got some nice Nike gear complete with the titanium mask that so many catchers covet. This one’s not close though as far as WPW is concerned. 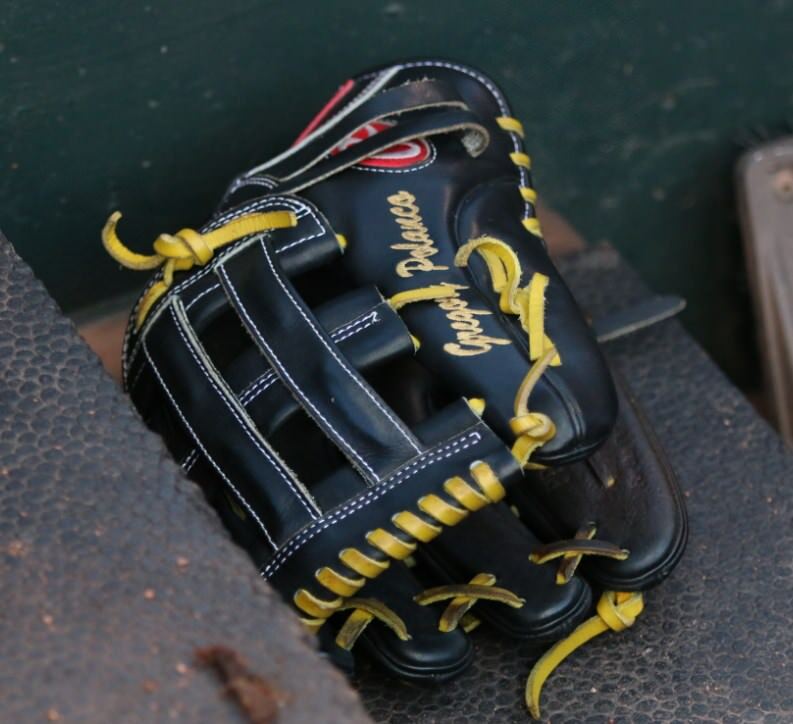 The energy with which Francisco Cervelli plays the game makes him an easy guy to like. He’s a rah-rah guy, and the joy he displays in uniform is contagious. Anybody would love playing with a guy like him. He’s a gearhead to boot. 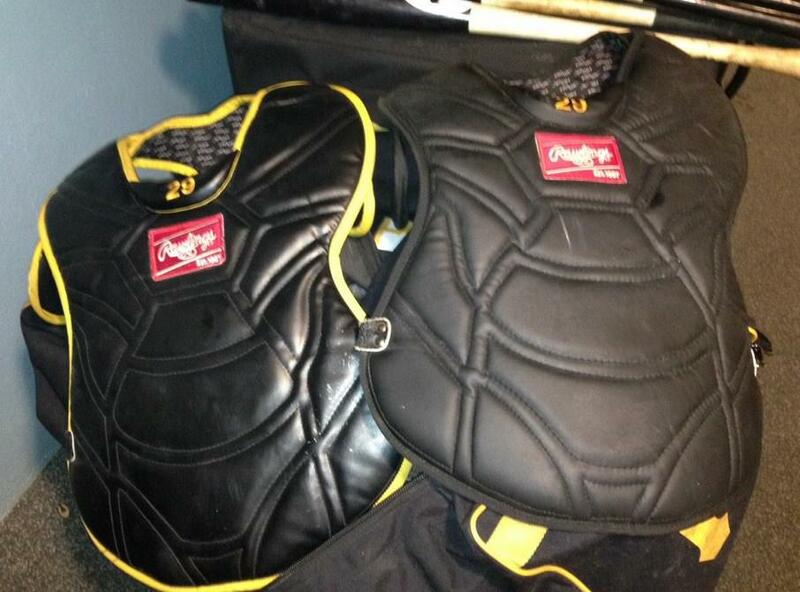 We have seen him in the Yadi gear below, but today Rawlings threw up a custom Pro Preferred set (above) for Cervelli that may show up tonight. If we had to bet, we’d say he sticks with what he knows in a winner-take-all, the Yadi set. 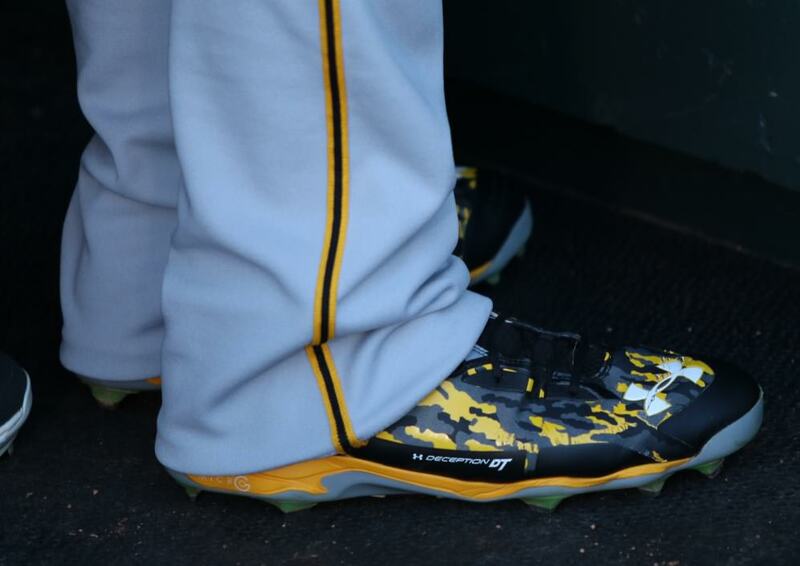 Pedro Alvarez and his Jordan collection will take a seat tonight in favor of defense, with Swiss Army Knife Sean Rodriguez getting the nod at 1B. It was never a contest though. Anthony Rizzo has f*ck-cancer swag, which is just a whole different level, and is one of the chosen few with his own Marucci model, the Rizz44. 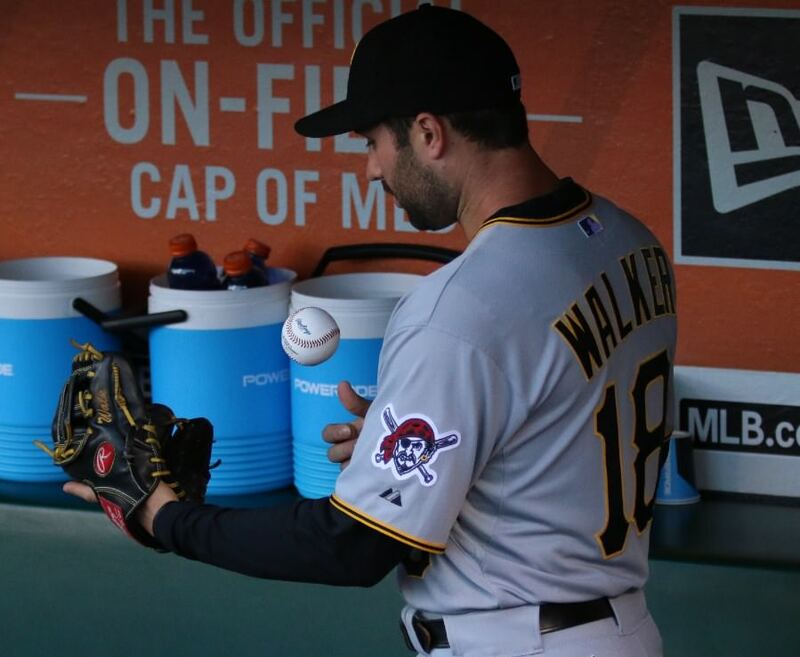 Neil Walker is just a producer. You never hear about the guy, but every year he goes out and out-produces the vast majority of two-baggers in baseball. 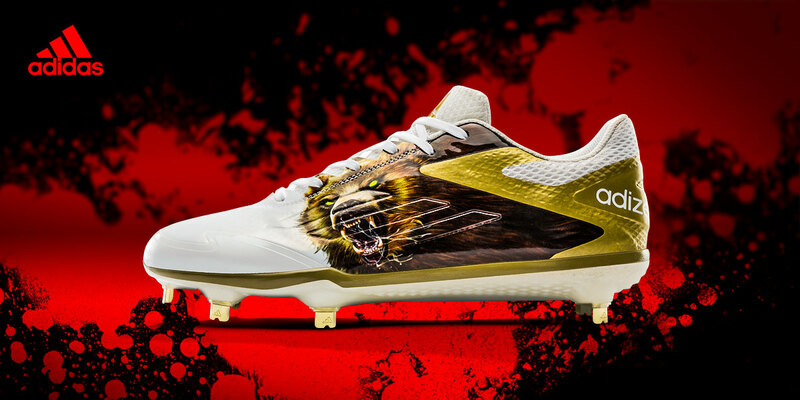 He’s got some very nice UA Yard VII BG’s and his Deception DT spikes are a great compliment. Baseball is a funny game. When you’re hitting .221 and making errors (like Starlin Castro did in May), playing loose means you’re a lazy, over-paid primadonna. When you’re hitting .369 (like Castro did in September), you’re playing with a relaxed confidence—you’ve got swagger. Castro came up at 20 years old and has, at times, looked like both of these guys—but at the end of the day, the box score and the win column will determine what the critics say. 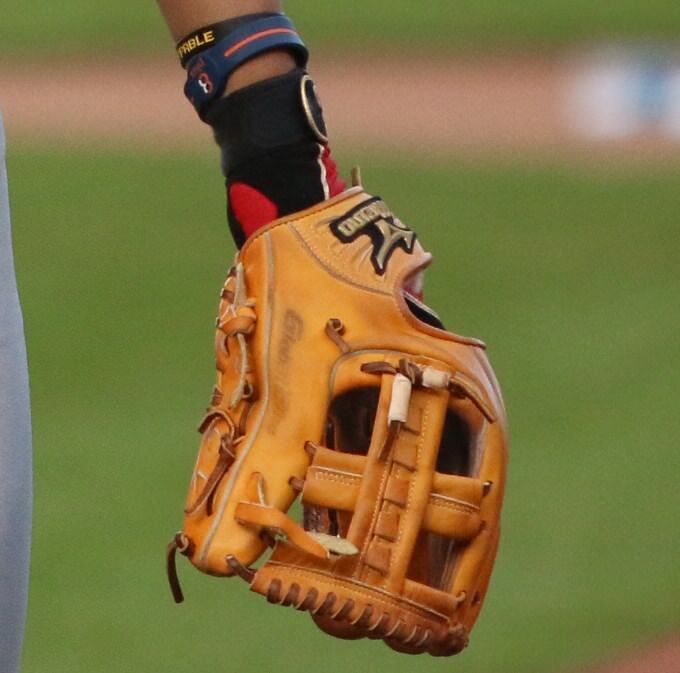 Castro, with his 991 hits at age 25 and that beautiful A2000 Superskin 1786, will get his first crack at the big stage tonight, and it will be fun to see what he can do when everyone is finally watching. A WPW favorite, J-Hey is the epitome of the ballplayer we love. A hard-nosed guy who will do anything his coach asks him, Harrison loves to get his jersey dirty, but he keeps everything else mighty CLEAANNNN. Today, Harrison tweeted out the Afterburner 2.0s you see above, which we highlighted yesterday, so keep an eye out for these tonight. Tommy LaStella ran into a buzzsaw here. Addison Russell ripped the “Shortstop of the Future” handle right out of Starlin Castro’s hands, with the full blessing of Zen Master Maddon, who compared Russell’s toughness to that of his pet bulldog Winston. Russell combines that toughness with good taste, rocking a beautiful two-tone Rawlings Wing-Tip glove, and some red Kaenon Hard Kore shades for sunny days at Wrigley. Had this been a match-up between Jung Ho Kang, who was lost for the year due to a Chris Coghlan slide, it would have probably swung in the Pirates favor. 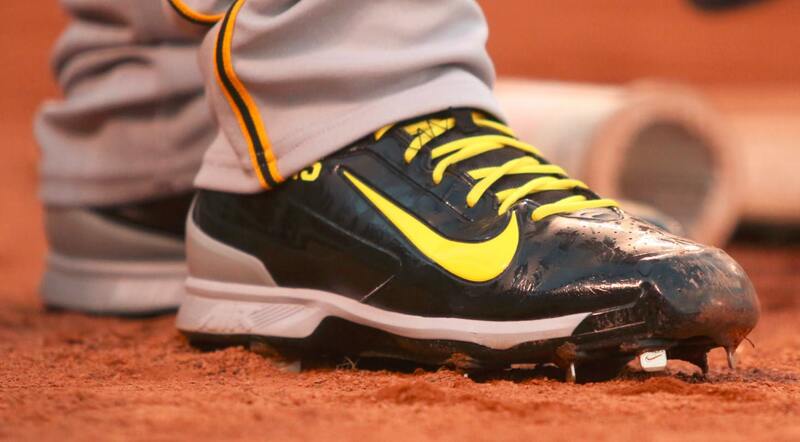 Kang’s got some sick Japanese Mizuno leather and was becoming one of Pittsburgh’s best players before he went down—however, Jordy doesn’t measure up in this one. Cubs win. 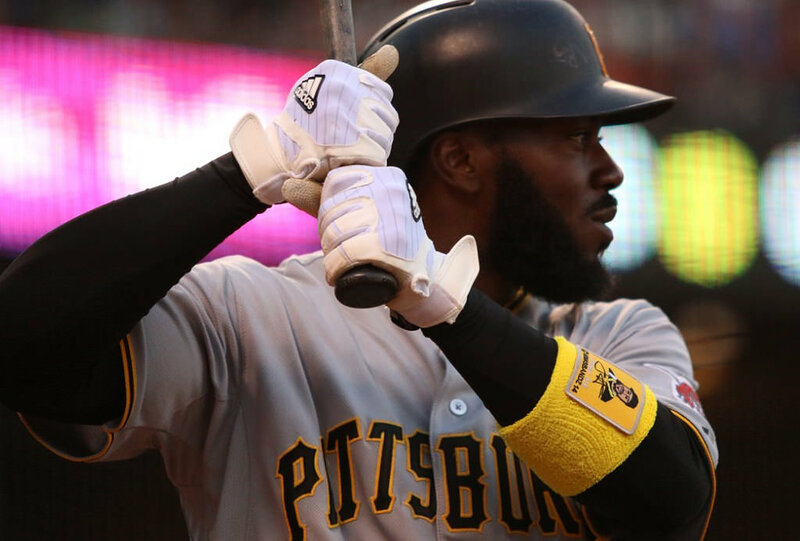 A tantalizing matchup of young ballers, both Starling Marte and Kris Bryant have all the tools that WPW looks for (which is pretty much just sick gear and being good at baseball). 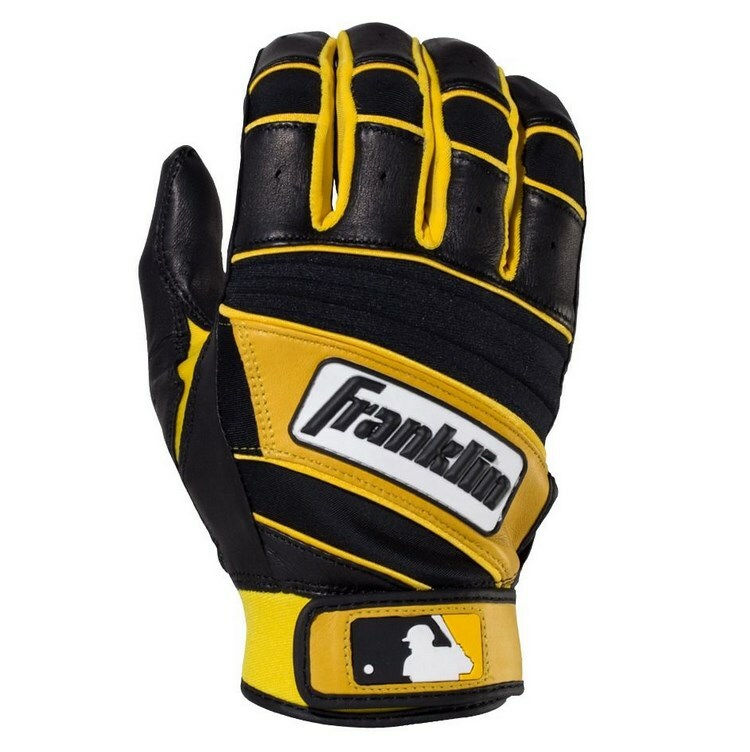 Marte has a beautiful repertoire of black & yellow gear, including the Franklin Natural II you see below and a really nice stash of New Balance cleats. Bryant on the other hand, has the adidas brand dumping buckets of money and shoes on him, and its his signing that has really launched the adidas brand into relevance, something that really could not have been said ever before. 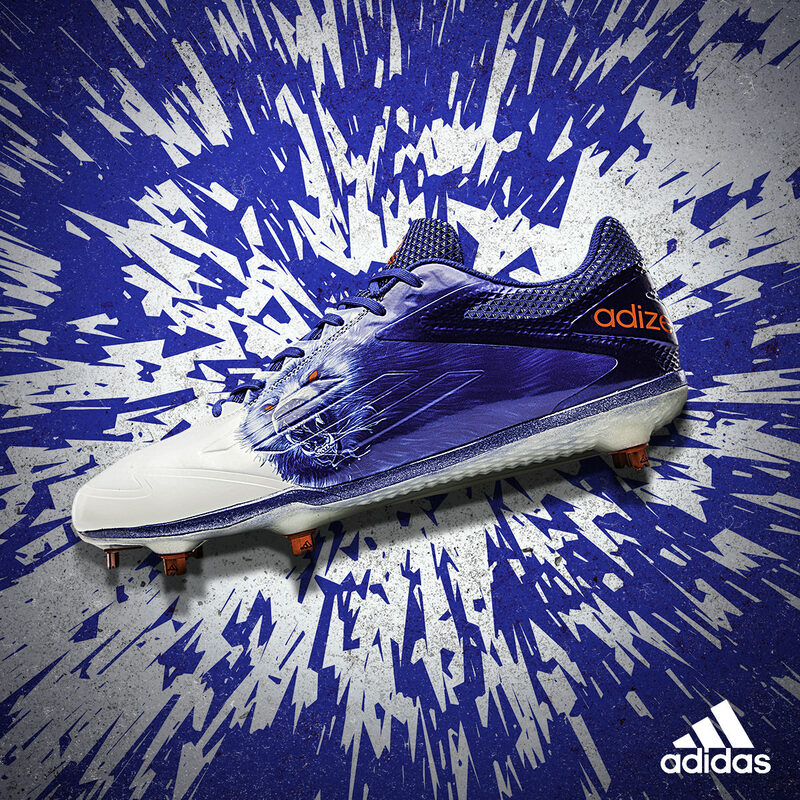 adidas is currently pushing the Afterburner 2.0 Uncaged collection, mentioning Kris Bryant while showing off the gold version on social media today. If it was up to us, gold would have nothing to do with it. All about the blues. 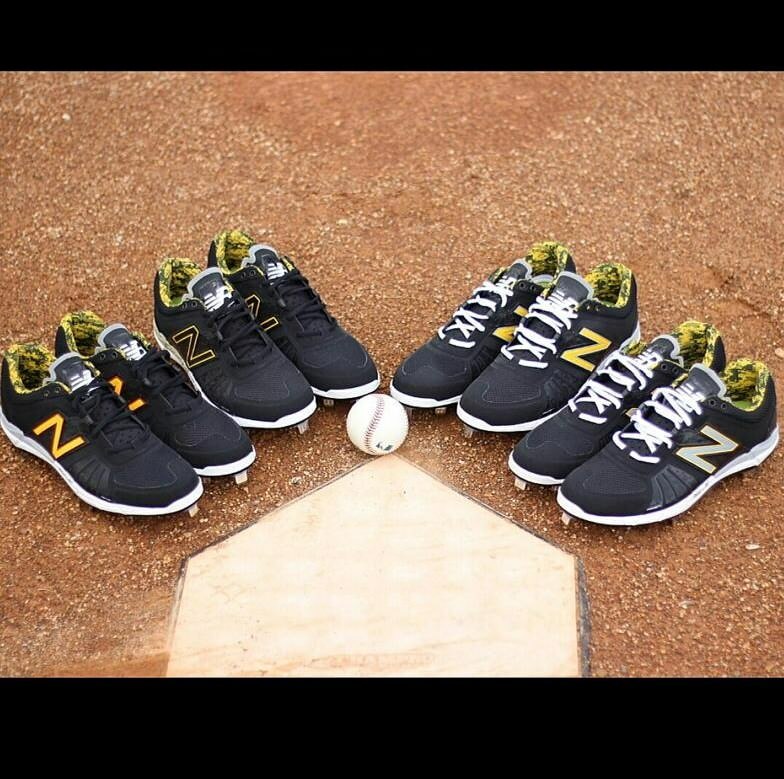 Which ones would you rock if you were Bryant? 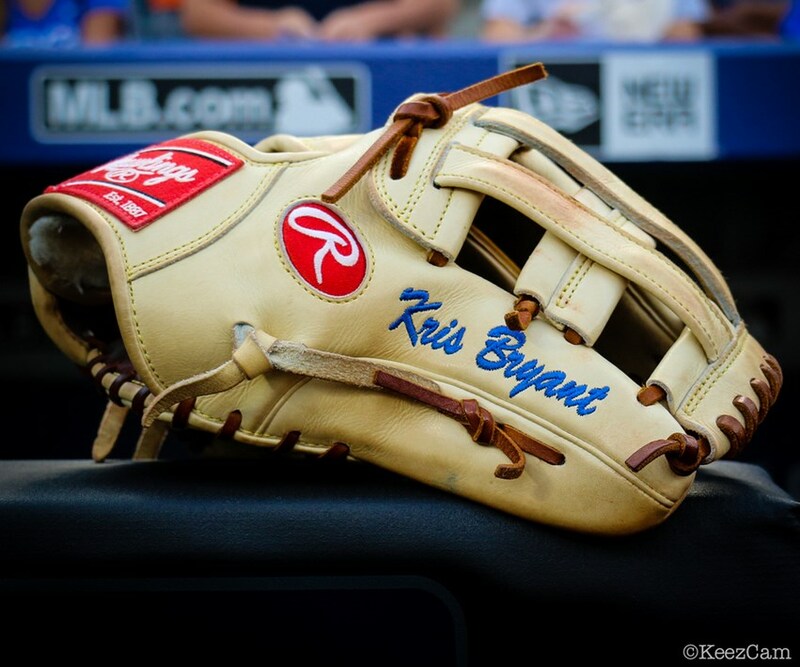 As much as we like Marte’s style and how hard he plays, we all know that Kris Bryant is the future. Fresh from the top of his cap to the tip of his toes. If WPW had a Swag-o-Meter he’d break the scale. 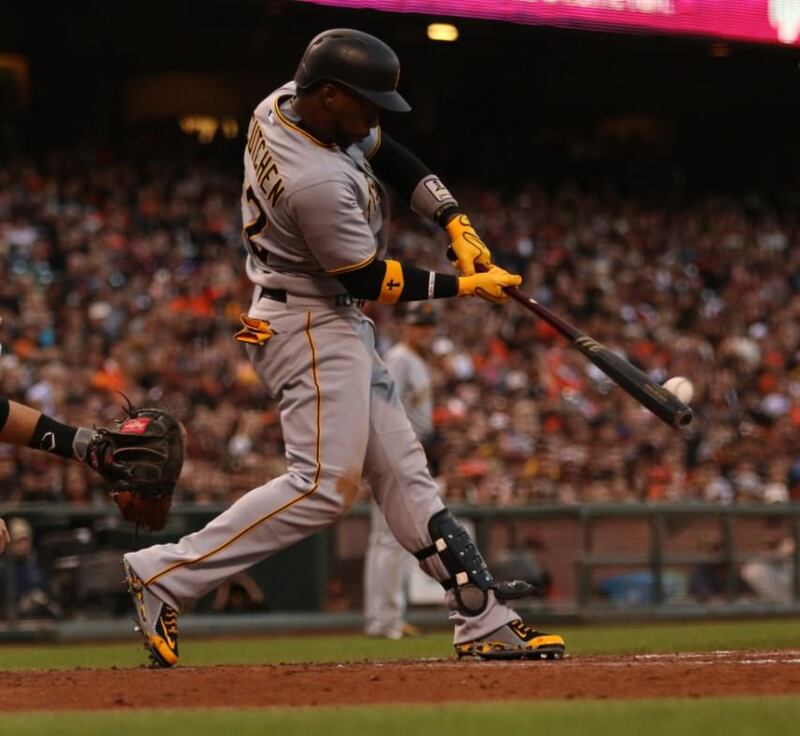 There isn’t a player in the game that is more on-point than Cutch. A matchup of two up-and-coming man-children, Schwarber basically skipped minor league baseball because he was too good for it. He was drafted out of Indiana (we covered him during the CWS in 2014) and bullied his way through the Cubs system, becoming an indispensable part of the Cubs 97-win offense in 2015. The most notable item in Schwarber’s repertoire is, of course, his bat. 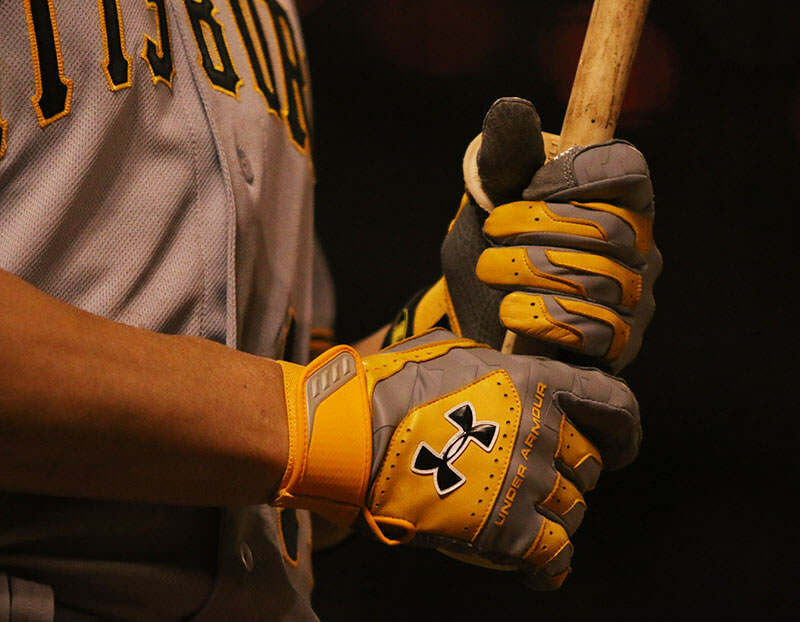 He swings Dinger, a company growing in market share in the Bigs. His KS-10 model is available at their site. 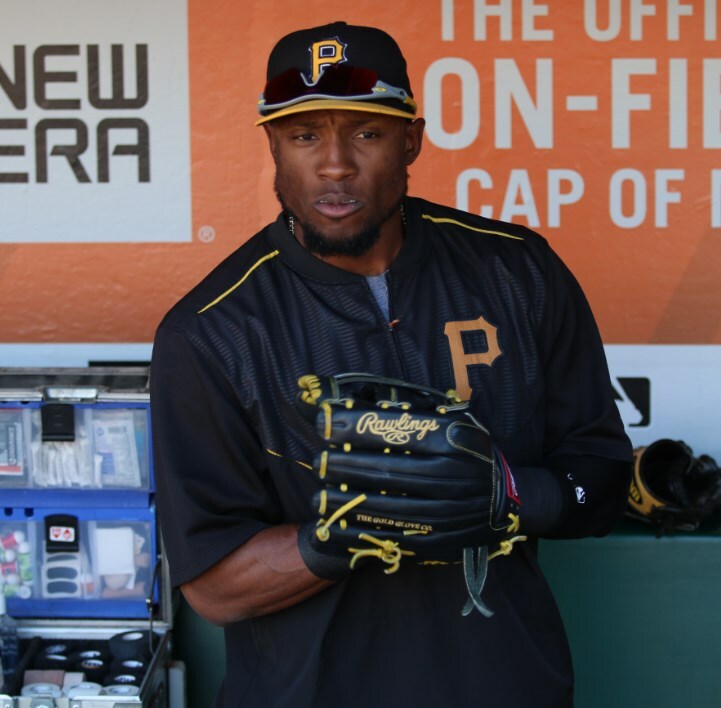 Polanco, on the other hand, has sputtered a bit, but his gear hasn’t. 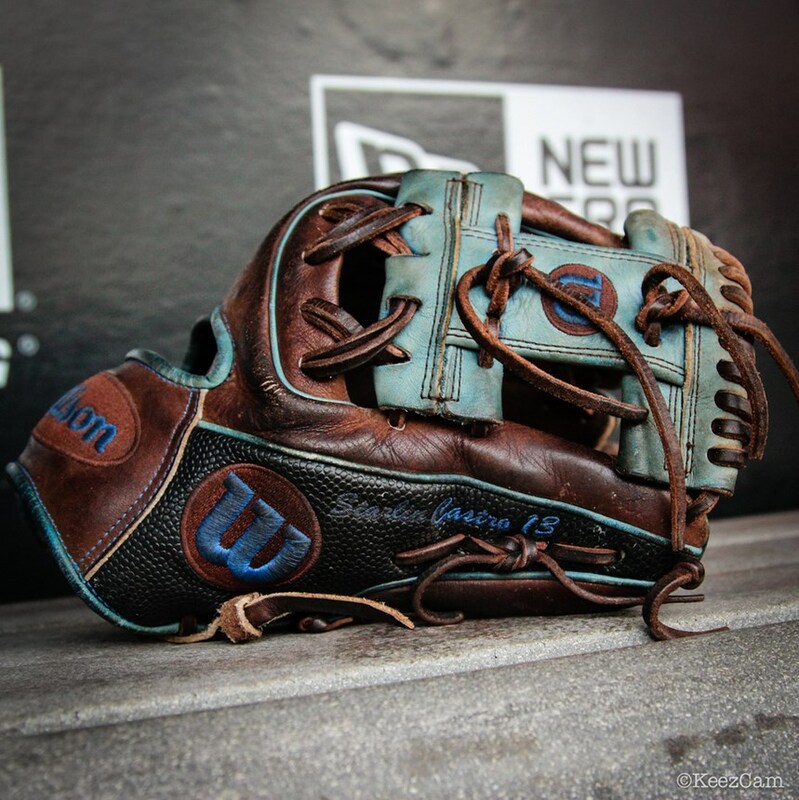 That Rawlings H-Web is a work of art.